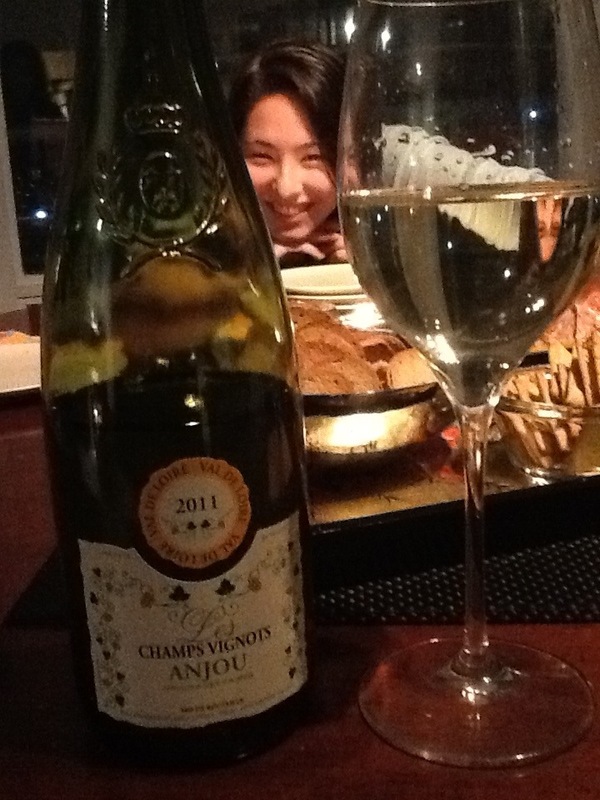 Les Champs Vignots, Anjou AC, France, 2011, 11% abv. Straight from France’s Loire Valley in the appellation contrôlée of Anjou comes Les Champs Vignots, a demi-sec 100% Chenin Blanc wine. We enjoyed this with goat’s cheese topped with spicy Thai chili sauce, pork pâté and fresh green grapes. A pale shade of lemon-green, this lovely wine sports some light legs and aromas of citrus, pear, yellow apple and lots of minerality. This is a youthful wine that is medium dry but that also has juicy, high acidity to balance out the sugar. The alcohol is refreshingly low at only 11% and the body is quite solid at medium. The flavours show light lemon zest, juicy Asian pear, a little yellow pear juice and white peach. A WSET Very Good wine. What lovely high acidity balanced with residual sugar. Especially perfect for appetizers or brunches. This entry was posted in Chenin Blanc, France, WHITE and tagged Anjou, chenin blanc, france, Les Champs Vignot, loire valley, white wine. Bookmark the permalink.